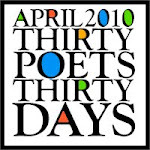 30 Poets/30 Days alum April Halprin Wayland's new site is up and running. Join her there and celebrate her new book, New Year at the Pier: A Rosh Hashanah Story, too. I mentioned my own new site yesterday, but I'll take another opportunity to send you over to The Happy Accident. I'll be talking about social media over there, while still talking children's books and poetry over here. Sometimes, no doubt, the topics will mix! I hope you'll come check it out. So, thanks Lin! Now everyone off to her site... and I'll see you back here next week! Today, over at my new site, The Happy Accident, I've defined a brand new word: confrustewilderation. I've had fun making up words before, but I realized it's usually something I've done when I'm writing poetry. And, of course, poets have been doing that for a lonnnnnng time now. So then I got to thinking: what are some of my favorite made up words (that aren't mine)? I settled on two, and you probably won't be shocked that one is from Dr. Seuss. I coulda picked from many (nerd, perhaps? ), but I've chosen "Grinch" because it is such a perfect description of someone who is... well... who's a grinch! Since today is Poetry Friday (with the round-up of posts hosted over at Irene Latham's Live. Love. Explore! ), I picked my made-up words from poetry and verse. Still, I'd love it if you leave me a comment featuring your favorite made-up words... no matter the source! So I never would get through. I've been looking forward to putting up this post for more than a month now, ever since Charles Ghigna sent it to me. It's got some of his original poetry, which makes me very happy, and just like when his A Poem Is... appeared in 30 Poets/30 Days, there was more poetry than I could fit in a post! Sorry about that (though you have my word on it all being faboo). Plus, this post is a writing prompt, something I am often not clever enough to come up with myself. These are fun, fun poems to write, and I hope you'll all give it a try (or give it to students to try). And please... feel free to leave your poems in the comments here at GottaBook. And with that from me, I say "take it away, Father Goose!" Instructions: Think of a person you like. Compare that person to some thing (inanimate object). Now compare yourself to some thing associated with the first object. And hold you for my own. My melody all day long. Just for the fun of it, you might want to reverse the process and write an If-I-Were poem! Your bright face looking up. And hold them close to me. Till you returned to me. These poems also make great Valentines. Try writing one for each of your friends and family members. The titles of your poems can be your friends' and family members’ names. You might want to make a little book of them and decorate it with your drawings. Have fun writing, drawing and sharing! For a list of other poem formats, please visit the Classroom Fun section of Charles Ghigna's website! This morning at around 7:00 AM, the helicopters started circling. Sounds dramatic, I know, but in this case it was nothing more than the L.A. Marathon beginning. I've spoken with many folks who've run marathons, so I understand that desire... but I started to wonder if there are any good books for kids on the topic of marathons, either the history or compelling individual stories, or...? I came up with none on my own, but if y'all know of any, I'd love to hear about 'em! As for the tease... I'm excited because Wednesday, Charles Ghigna returns to GottaBook with some poetry AND a poetry "prompt" and/or teaching idea. It's been a long time since I've had one of those here at GottaBook, and I'm really looking forward to it (plus I'd read Charles Ghigna's poetry any day!). I hope to see you all then! Baseball + Poetry = Bardball! As baseball great Yogi Berra once said, "It's like deja vu all over again!" Last Friday, I posted my original father-son-baseball poem A Perfect Game. This Friday, I'm pointing you to it again, but in a totally different place. Where, you ask? Then don't forget to check out the Poetry Friday roundup, hosted over at Susan Taylor Brown's blog. You'll find original poetry and so much more from around the Kidlitosphere. Good times, indeed. I have to say, I've been having a lot of poetic fun on Twitter, even with National Poetry Month over. It's not all children's poetry specific - in fact, most of it isn't - but it's not like that really creates a barrier to conversation: it's poetry! Plus, Twitter's how I ran across this Lewis Carroll poem. Oooh. Who wants to take up that form as a poetry prompt? A bunch of us have been chatting every Thursday night (9 PM Eastern/6 PM Pacific, with details here), and poet/novelist Colin Kelley put together a great list of poets on Twitter, so I've met even more cool folks. There are also great lists of YA authors on Twitter, picture book authors on Twitter and even a new list of middle grade authors on twitter. Last night - or this morning, really - I was up til 2:30. Unfortunately, I think it was a caffeinated-not-decaf coffee issue, but as I was lying in bed wide awake, I was flashing back to nights when I was up at the same time by choice... reading. 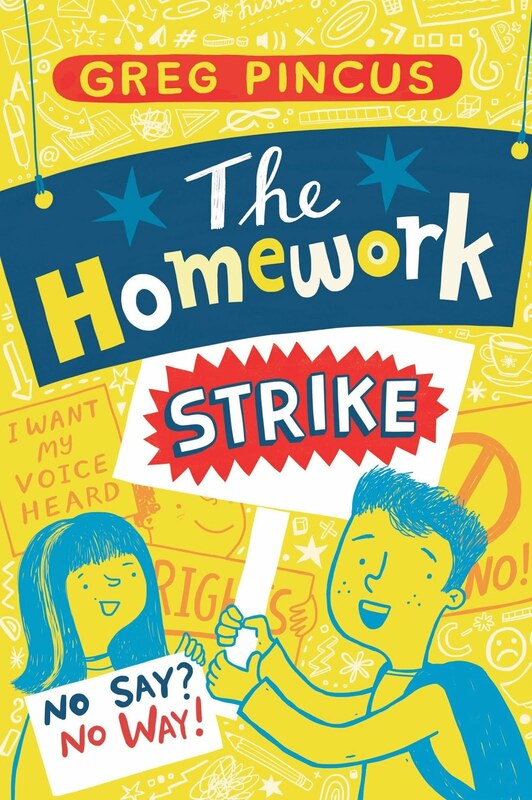 I know that the last book that I read waaaay past my bedtime was Adam Rex's The True Meaning of Smekday. I like to say I simply had to finish it because someone else was reading it, too, and would need it back in the morning... but that'd be stretching the truth. I was reading late cuz I was having a blast. I know I'm not the only one who has found themselves pushing bedtime later and later... so what about you? What was the last book that kept you up late? Seems like a list-worthy topic to me, so drop me a note or a comment and let's see what we come up with! My soda couldn’t be more flat. My Cracker Jacks taste old. The peanut vendor never came. My hot dog caught a cold. But Dad and I are having fun. In fact, it’s quite a blast. As innings move on past. Each hit, each out, each run. I tell him why I don’t like math. He says "Like Dad, like son." How weak it made my knees. And when to try a squeeze. And why folks like to dance. They all come up, and more. And we’re not keeping score. Today we start the first two week Guys Lit Wire Book Fair for Boys to help the teens incarcerated in the LA County Juvenile Justice System. They have no books - at all - and they need them; they need them desperately. There is much more information in this announcement post, and I hope you'll go check it out. Also, of the good-osity variety... I'm gonna toss out another mention of the Bridget Zinn Auction. I know I mentioned it before, but there is a ton of new stuff up for bid. Yes, lots of great gift items, but also things like lifetime membership in the Children's Book Insider Clubhouse, website design, social media planning, and critiques from writers and actual EDITORS. Don't believe me? See for yourself! And finally... today, Fuse #8 posted the number one picture book based on her poll. Go see what it was... and tell me if you're surprised. I got that right... though was off on so many others that it wasn't funny! Anyway, it's a fab and fascinating list of 100, and I'm looking forward to her final notes in days ahead. More soon... but I gotta book! It's a simple question, really, but I am a simple fellow, so I'll ask it anyway: what's your favorite made up number? I mentioned "umpteen" on a Facebook update earlier today and have already been "countered" with bajillion and gadjillion (and their root, jillion), as well as eleventy, dubbed "the funniest number ever." Hmmmmmm. I'm sticking with umpteen as my favorite non-number number, but here among my fellow writers, teachers, and poets I hope to learn of many more. Let me hear your number... and let's see if I get umpteen comments! First... my very own Mother's Day poem here on GottaBook! Second... the Poetry Friday roundup hosted over at Anastasia Suen's Picture Book of the Day. And that's it, other than noting that I'll be going to one of my favorite forms of "poetry" tomorrow - a baseball game. Good times. Good times. Have any of y'all been following Fuse #8 as she lists the results of her Top 100 picture books poll? It's mighty fine stuff. She's up to number 8... but number 11 held a very soft spot in my heart. Are your favorites up yet? Also... a yearly event returns! It's Children's Book Week next week. The Children's Book Awards will be announced in conjunction with the week on May 13th. Finally... there's a new blog in town (okay... there are many) that's well worth checking out: Booklights over at the PBS Parents site. You'll see some familiar faces over there (well, familiar to me!) and get a ton of great info, too. There's more, of course, but now I gotta book. I've got some blog reading to do! April's done, and it's time to look forward here at GottaBook. I have to say that the only downside I can find so for to 30 Poets/30 Days is that my blog content isn't gonna match that level of quality/quantity again any time soon! A lot of y'all are new readers here either through the "poetry only" email list (available over on the right hand side of the blog) or by reading/subscribing to the whole blog after finding it during April. I'd love to hear from you about what you'd like to see here. I have a lot of fun at GottaBook and want to make sure it's not just me! So feel free to leave a comment or e-mail me if you've got ideas. Finally today, I want to send you all off to an online auction to help a fellow writer/blogger, Bridget Zinn. Bridget got an agent in February... then a cancer diagnosis (plus a marriage proposal!) shortly after. Friends of hers have put together an auction to help Bridget with medical bills, and many of us in the Kidlitosphere have offered up items to help. (Have I ever mentioned what a great community the children's lit bloggers are? True!) Anyway, there are many signed books available as well as original art, manuscript critiques and other services great for writers/illustrators/others. It's win-win, really - get something you want (or want to give someone) and help at the same time. I hope you'll check it out and/or stop by Bridget's blog (where her wonderful attitude is on display despite the adversity) and wish her well. 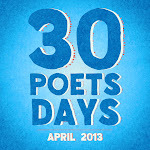 There are so many people to thank in regards to 30 Poets/30 Days, and many of them have been mentioned here before. So for today, I'll break it down into three groups - my family and friends, offline and online, for answering logistical questions, showering the project with link love, and brainstorming ways to spread the word; all the poets for showing such amazing generosity and support; all of you for reading along this month. You're the reason we're here! Now, I must add that at GottaBook, I celebrate poetry year round, so the end of this month only means there won't be a poem EVERY day. But there will be new poetry here in the weeks and months ahead. Some will be by me, of course, but there will be surprises, too. So if you're new to these parts, I do hope you'll stick around. And if you've already been sticking around for awhile... well... yay and thanks! And just think... it's only 11 months until the NEXT National Poetry Month. More on Monday but for now, I gotta book!